Plantation shutters combine beauty, easy maintenance and excellent light control to bring a classic look and warmth to any setting. Plantation shutters are made from a variety of materials including natural wood, and synthetic materials such as poly-wood and vinyl. 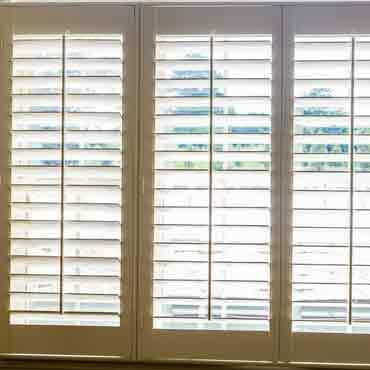 Louver sizes range from 1” to 5” to create the look that’s right for you.